Here at The Whole Truth House # 1, we want you to know that we believe in you and love you with Christ’s love. The Whole Truth approach is a holistic one. 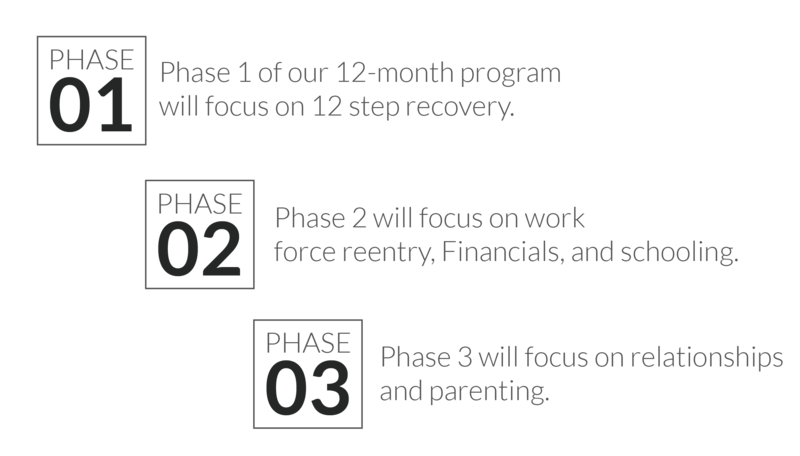 We believe every area is important to growth and to be successful in transitioning back into society as a productive member. We will grow in Christ’s truth and His truth will set us free! Here we will cover areas such as: 12 step recovery, parenting, finances, relationships, work force reentry, education, and most importantly faith in Jesus Christ. You are here of your own free will. We hope and pray that you will enjoy being here as much as we will enjoy having you here. We believe that addiction affects not only the addict but the entire family. We require all residents to attend in house and out of house NA, AA, and CR meetings on a daily basis. This is a faith based program and teaching residents about the importance of Jesus Christ in their lives is extremely important.